Have you ever seen a beautiful portrait of yourself? If you are like most women you’ll probably laugh and say NO WAY!! No matter how old they are, most women don't like they way they look in photographs. Percieved body imperfections, real or not, make women think they aren't beautiful. Family and career commitments can leave a woman feeling less than glamorous. And of course there’s always that extra weight that everyone thinks they need to lose first…In the end, many women don’t exist in photos. I want you to exist in photos. For yourself, and for the people that love you. My sessions are fashion inspired photography for the everyday woman. Women of all ages, shapes, and sizes. No super models here, just regular women! My sessions are designed to bring out your own unique beauty, make you feel special, and to create the most beautiful portait you have ever seen of yourself. Every woman deserves a beautiful portrait of herself! Anytime is a great time for a portrait. Celebrate who you are right now! Get pampered and have an amazing experience that will boost your self image and make you feel good about yourself. You are worth it! 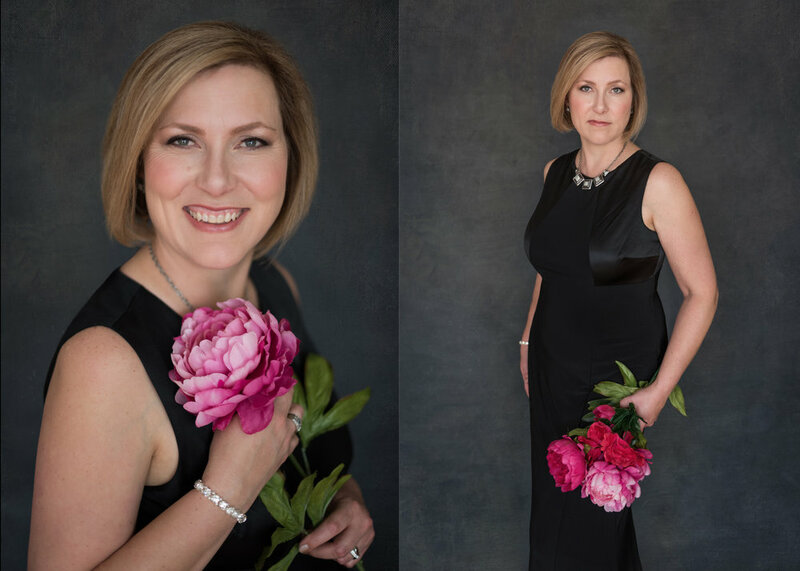 Other great reasons to come in for a portrait session is if you are celebrating a milestone birthday, or a special achievement. Of course you can always gift a session to a loved one too. To create your portraits we will start with a In-Person Planning Appointment. We will talk about the style of portraits you would like, and discuss your wardrobe. Do you want a casual look in jeans and a pretty blouse? Or do you prefer a classic look and want to wear a black cocktail dress? Or do you want to glam it up and wear something sparkly? Or do you want to try something ultra femine with tulle and flowers? Or would you like a variety of looks? Do you want to be photographed in-studio, or go on-location and be photographed in a beautiful park? There are many options so we will talk about them and design your session together. Your session includes professional hair styling and makeup, so we will talk about that as well. 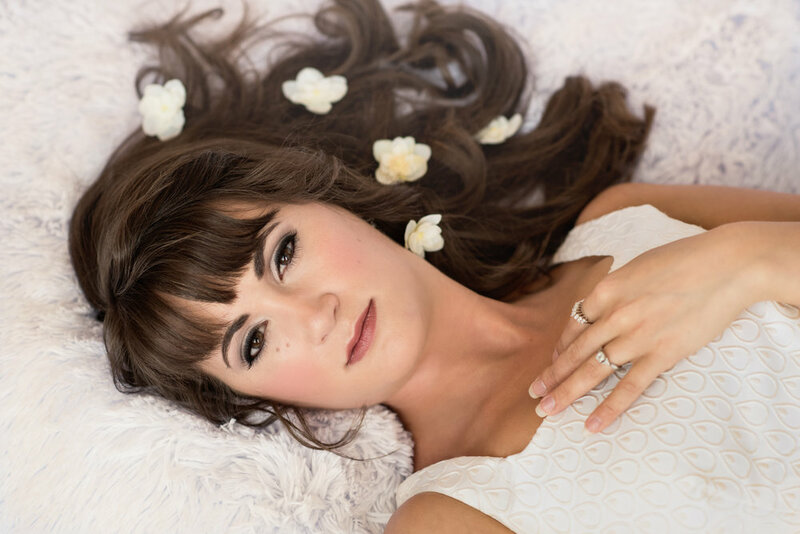 Your planning session is a great way for us to get to know each other and will help you feel more relaxed and comfortable on the day of your photo shoot. The day of your Photography Shoot starts with your hair and makeup appointment followed by the photo shoot itself. Plan to spend at least 5-6 hours with me! We will have snacks, and there will be lots of girl talk and laughing, and you will feel like a model for the day. It's a lot of fun! I'll do my best to make you feel comfortable in front of the camera and will be guiding you through the entire photo shoot so you don't have to worry about what to do. I will direct you through a variety of poses that are designed to make you look your very best! And you will want to book a night out after because you are going to look gorgeous! This session does not include any prints or digital images. They are purchased separately, so about two weeks after your session we will meet for your In-Person Portrait Reveal and Ordering Appointment. This is when I will show you the very best pictures from your session and when you can choose the images for your folio box, and/or other items. You can get an idea of what's available here. All you have to do is choose your favorites...but that's going to be hard because you are going to love them all! My goal for your session is to create 20 or more unique images so that you can have a beautiful keepsake portfolio of the experience. Your portfolio of images is best displayed in one of my beautiful folio boxes, but your favorite images can also be displayed as wall portraits in one of my gorgeous hand painted boutique frames. Or maybe you would like to create a special album to gift to your husband or partner to celebrate your relationship. If you have children they will treasure a beautiful portrait of their mother forever. With every portrait you purchase you also get the matching digital image, so you can use your portraits on social media, and easily share them with family and friends. 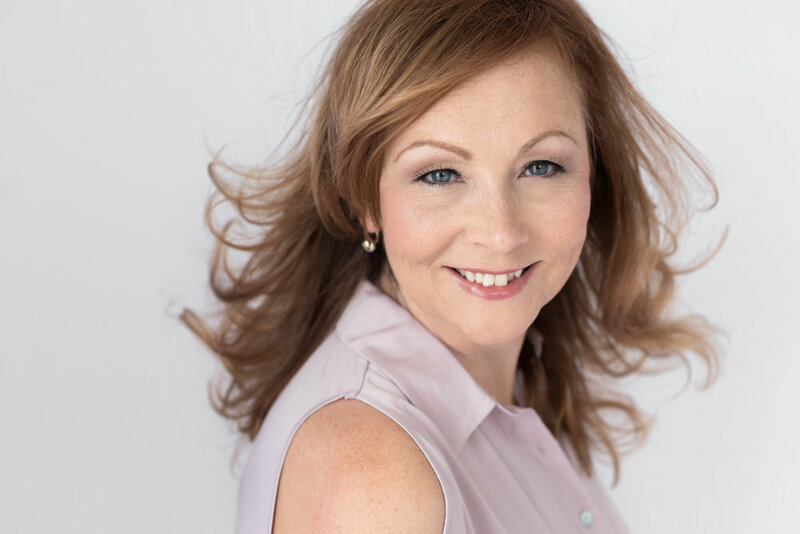 If you have any questions about Glamour and Beauty Portraits, or would like to book a consultation give me a call at 403-680-8039, or contact me here. I invite you to a personal portrait session with me. It will change the way you see yourself.